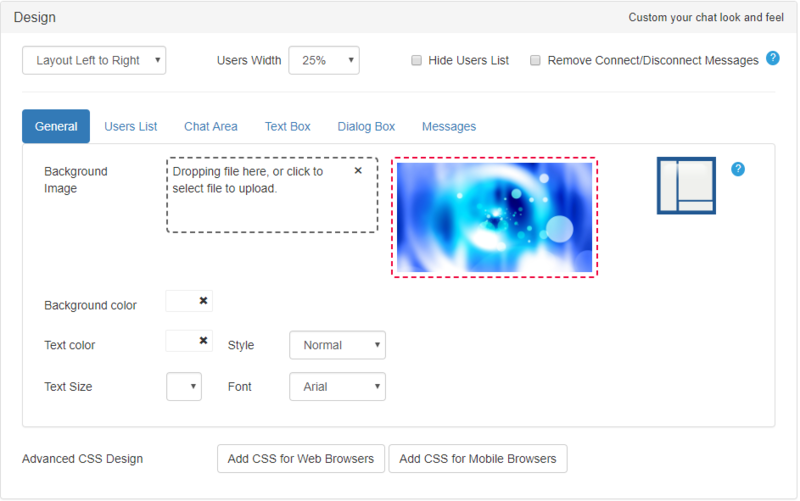 Controlling your chat design using chat CSS is easy with our advanced design features. RumbleTalk sets itself ahead of the competition by being the most customizable group chatroom available on the market. A lot of our customization features are built into our settings menu, making this customization available to anyone at any tech-literate level, and or CSS experts, RumbleTalk group chat can be completely transformed. But not everyone knows CSS, so we’ve put together this list of easy chat CSS tricks that anyone can copy and paste into the advanced design tab of their RumbleTalk account to get the benefits of a fully customized group chat room. (Note, for the mobile version, we have other CSS tricks). Copy the chat CSS code from this list. In the chat settings, under “Design”, click on “Add CSS for Web Browsers”. Previous postDisable group chat and allow only private chats?